A couple weeks ago, Google announced that they will start using two algorithms. One will check mobile websites. The other will check desktop sites. Are you prepared for this change? More than 56% of internet users are using mobile devices to check websites. This percentage continues to grow, year-after-year. Google will start to rank your desktop website based on the mobile website. Your mobile website can no longer be an afterthought. If you only do one thing to prepare for this new world, check your site with Google’s PageSpeed Insights. In this two-algorithm world, I’d suggest you take this report a step further. At the bottom of the Mobile report you’ll see “User Experience” suggestions. If you seen any issues under this report, address them too. While we’re thinking about mobile usability, Google Search Console can help, too. Under Search Traffic > Mobile Usability you might find some other issues to fix. Using tools like this to test your mobile usability is much more effective than doing it manually. There are hundreds of different moble devices out-there. It’s impossible to check them all. Even if you had one of each of the most popular devices, you can miss things. Use these reports to tell you how users are experiencing your site. Fix the things Google is pointing out to you. You know, there’s some debate about Google’s use of usability for a ranking factor. I’m not sure where I fall into this debate. I am confident that even if this doesn’t affect your SEO efforts, it will help users. That will help you, regardless. While you’re in Search Console, navigate to Crawl > Fetch as Google. 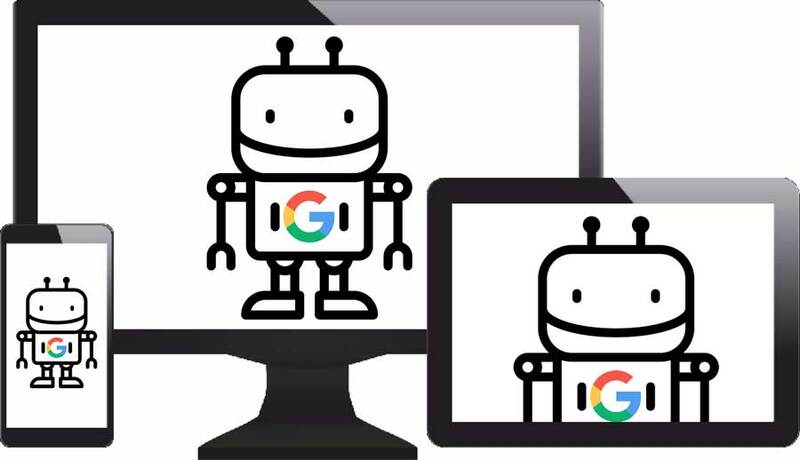 If you enter a URL, this report will show you how GoogleBot and visitors see your mobile site. Of course, you need to select “Mobile: Smartphone” and then click “Fetch and Render”. What are you looking for, in this report? Does the GoogleBot see your site, as you want it to? Are visitors seeing your site, as you want them to? Does anything appear broken? Anything hard to read? Anything missing? Should You Move to AMP? Speaking of responsive web design, Google seems to be promoting a new solution for websites, lately: AMP. This is a platform that strips-out unnecessary code, images, etc to make mobile sites lightening-fast. Although Google is promoting it so much, I’d be hesitant to convert my business’ website to AMP at this point. This is still a new technology. It can create tracking issues. It can create lead attribution problems. In a way, it can give Google your website’s content- without them even visiting your site. As this technology improves, I might change my tune on this. In the meantime, I am not yet recommending this for most business websites.